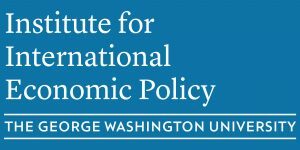 On November 19th at Elliott School of International Affairs, the Institute for International Economic Policy at The George Washington University hosted Vikram Nehru, a senior associate in the Asia Program of the Carnegie Endowment for International Peace, to discuss the impact of the November elections in Myanmar. As Nehru has written, “For Myanmar’s leadership, international approval will be central to attracting foreign investment and maintaining the economy’s development momentum.” The international community’s support of the election result’s will be decisive as Myanmar moves forward. Cosponsors of the event were the Sigur Center for Asian Studies and the International Development Studies program. Listen to the event here with Professor James Foster and Mr. Nehru discussing this turning point in Myanmar’s history.